The arrest of the Son of Sam in August 1977 was good for the Jews, and it was also bad for the Jews. Good because the Son of Sam’s murder spree had terrorized New York City for more than a year. Bad because the Son of Sam turned out to be named David Berkowitz. The tabloid splashed the word “CAUGHT!” in inch-high red letters across its front page the morning after cops nabbed Berkowitz outside his Yonkers, New York, apartment. The Forward struck a more ambivalent tone. It was a dark week in New York City. Under stark headlines, the mad imaginings of the young Jew spilled fast: “Sam told me what to do and I did it,” was the chilling quote on the front page of The New York Times on August 12. It would have sounded silly if six people hadn’t died. And it would have been titillating if it hadn’t happened just next door — and if the villain hadn’t been named Berkowitz. It was great news. The devil-driven slayer wasn’t a Jew, but rather an Italian hiding behind a Jewish name. His birth parents’ names were Betty and Tony, the Forward reported. “David Berkowitz wasn’t Nat Berkowitz’s son, and wasn’t born a Jew either,” the story read. Schwartz, in his Sentinel column, saw more than just exoneration in the report — he saw an indictment of hidden Jew-haters across the media, who knew exactly what they were doing when they called Berkowitz by his name. 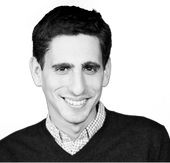 This story "Why Son Of Sam Was Bad For The Jews 40 Years Ago" was written by Josh Nathan-Kazis.